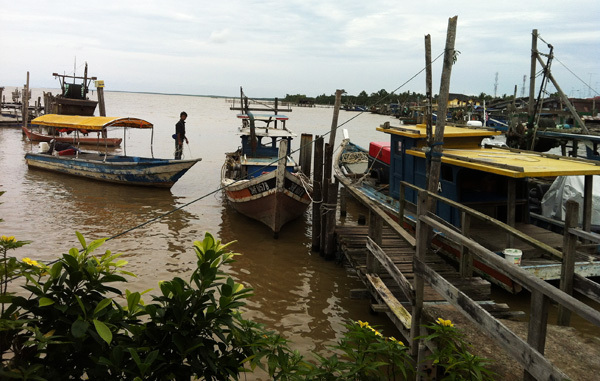 Pontian Kelong (Kelong Sri Pantai) is situated just outside the mouth of Sungai Pontian Besar and from what I gathered it was established about 5 years ago. 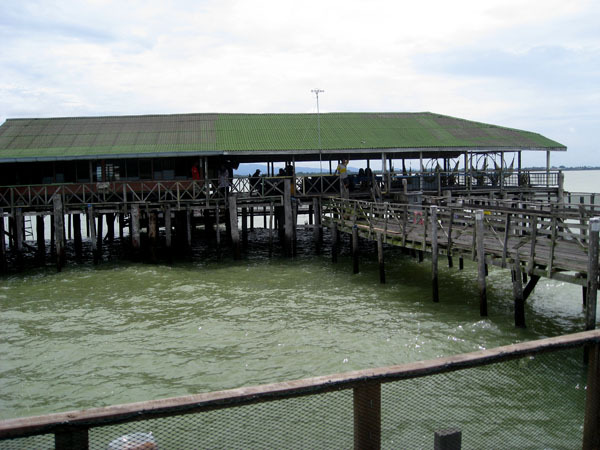 This kelong is rather huge and I would classified it as a "tourist" kelong much like those you can find around Sibu Island. 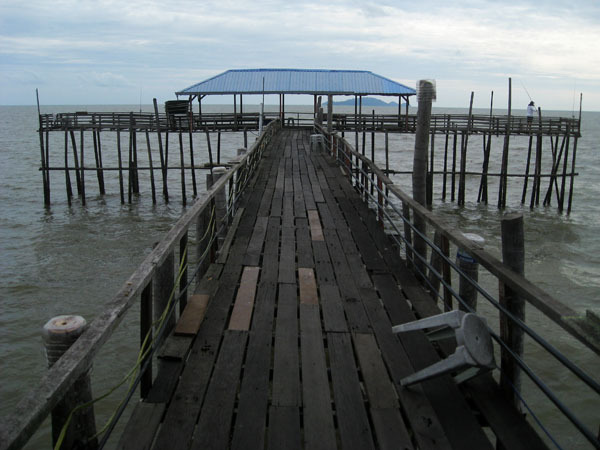 They don't have a fish corral or hoist net setup, commonly seen in commercial fishing kelong, neither do they culture fishes of any kind. 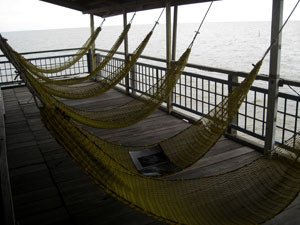 It act solely as a place for entertainment, rest, relax and of course fishing. 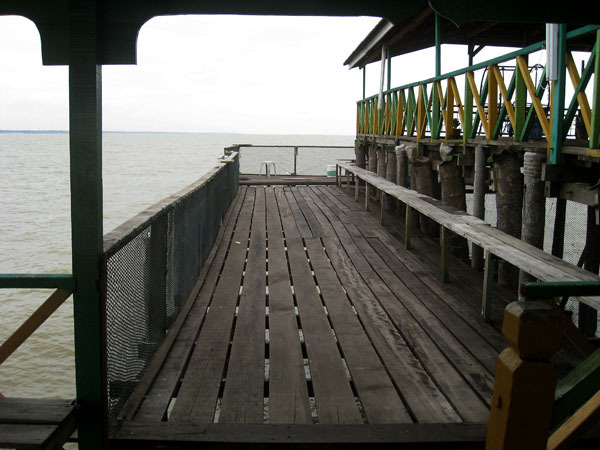 The images above are of the jetty from which we board the boat to the kelong from. 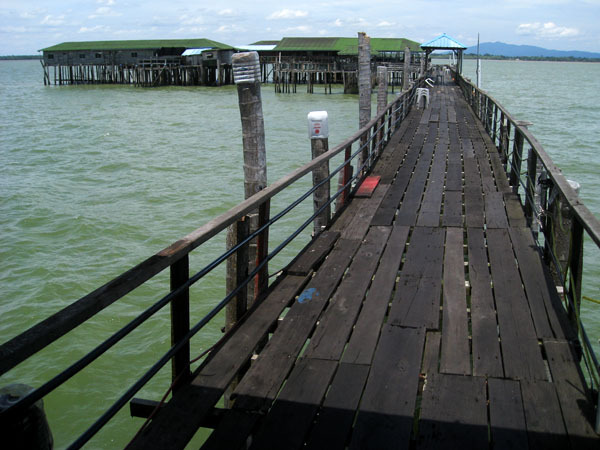 This pier is just by the mouth of Sungai Pontian Besar, and if you look carefully, you can actually see the bridge that crosses the river in the picture above. An easy way to locate this pier is to look out for the BPH petrol kiosk on the side of the bridge across the river and the pier is just opposite the petrol kiosk. As you turn off the road into the pier there is a few structure in the courtyard, one which is a police post. Proceed pass the police post and the pier is by the mouth of the river. 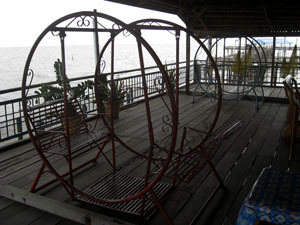 The image above show the front of the kelong. 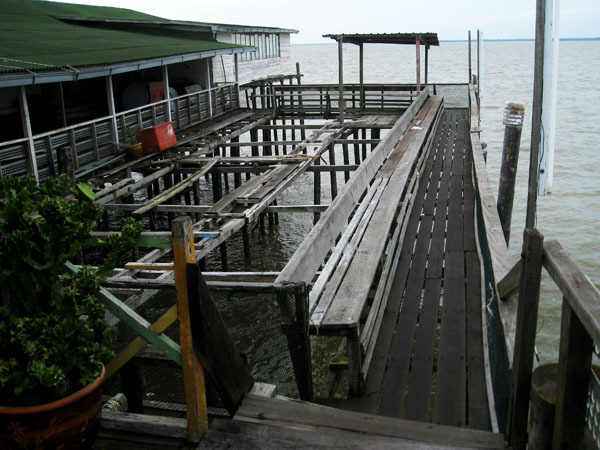 There is a floating platform that allow people to alight from the boat. 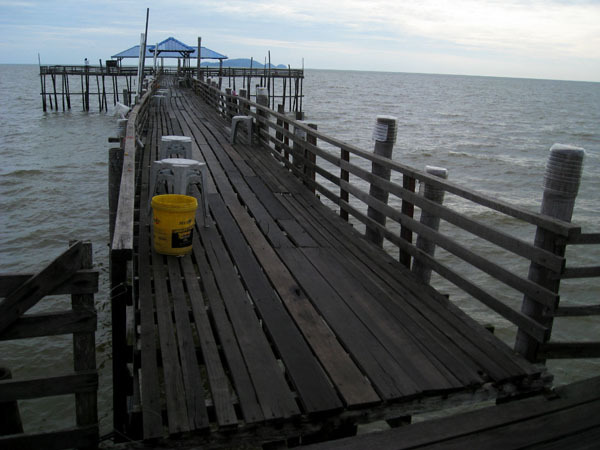 The most unique selling point going for this kelong to anglers, is that it has a very long fishing jetty that stretches 60 to 70 meters. 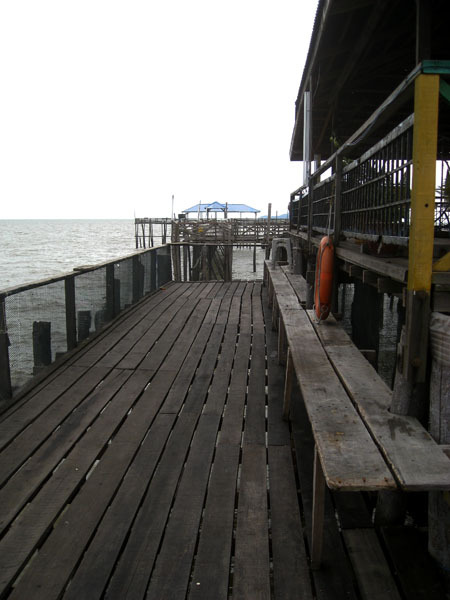 The video and 2 images above plus the following pictures will show you the different areas along this long jetty. 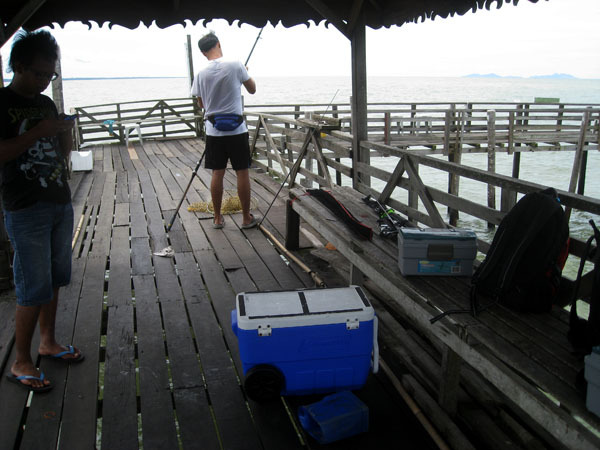 The 2 images above shows the first shelter nearest to the main kelong. The 2 images above shows the middle shelter about mid way along the jetty. The 3 images above show the outermost shelter on the jetty. 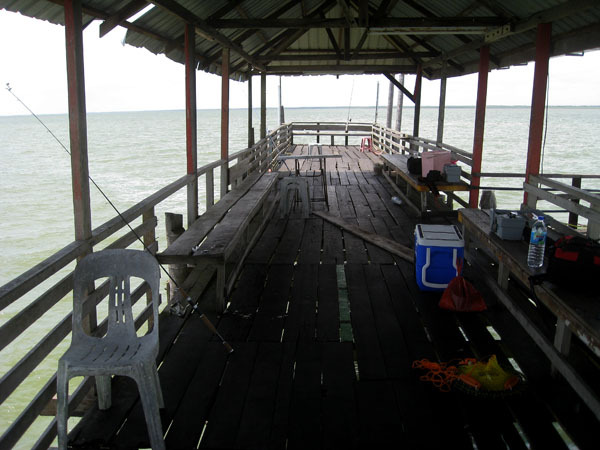 A shot of the kelong structure, taken from the outmost shelter. 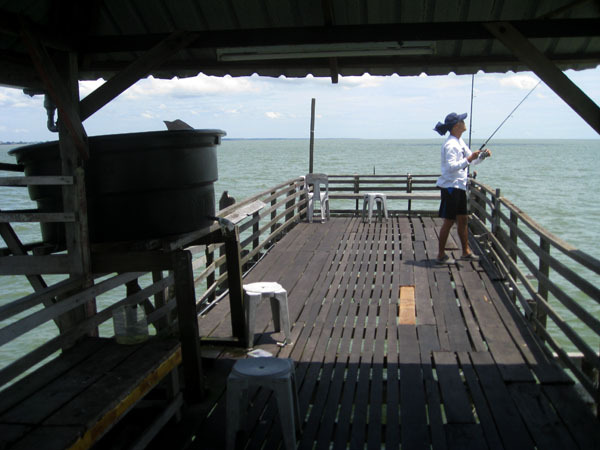 As you can see the jetty is not the only place you can fish from on this kelong. 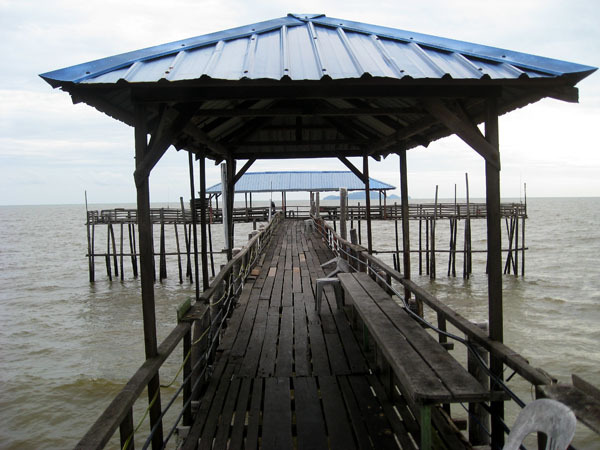 Surrounding almost the whole main kelong structure are platforms that allow you to sit and fish comfortably. 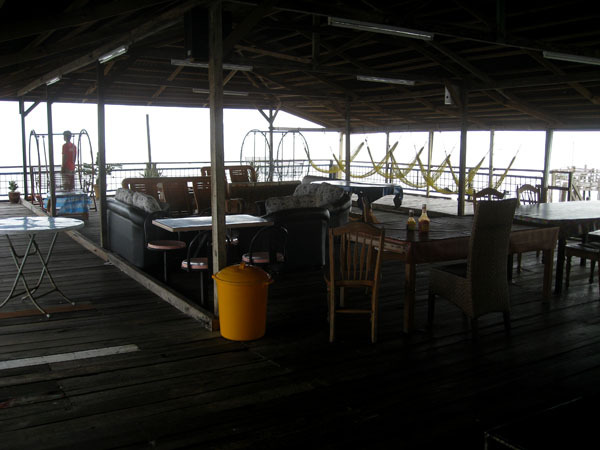 This place as clean as any kelong I have come across, it have proper flushing toilets, clean running tap water and plenty of room for kids to move about safely. 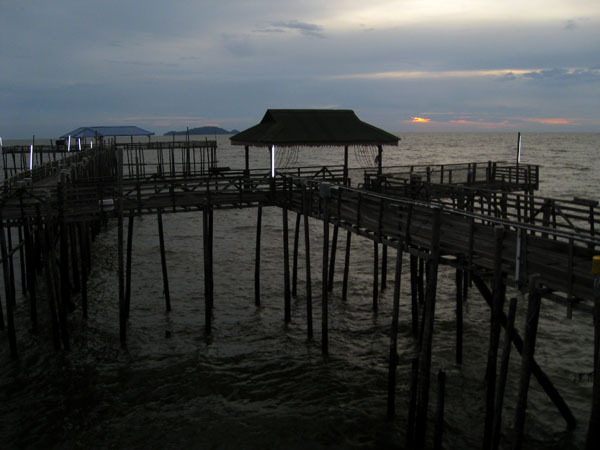 Almost all area with the kelong are fenced and the structure (above water) looks well maintained and pretty sturdy to me. It would be a good place to bring kid and people who are less into fishing. There are rooms to be rented, but I did not ask for the rate. Maybe they could even arrange for food. I am not sure and didn't ask as I was just there just for a day trip. 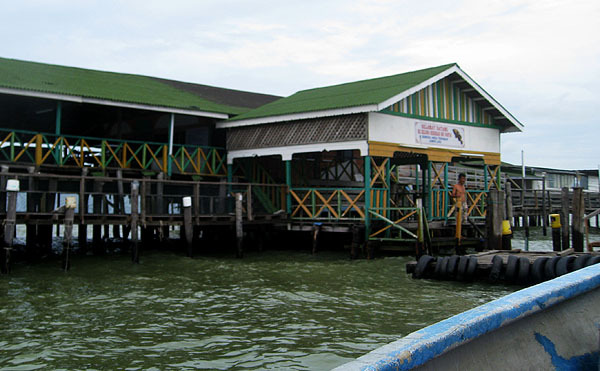 Fishes that's can be caught here are Grunter, Batfish, Snapper, Catfish, Sting Ray, Groupers, Gelama, Threadfin Salmon, baitfish, etc. The water is pretty shallow here and the ground is mostly muddy. 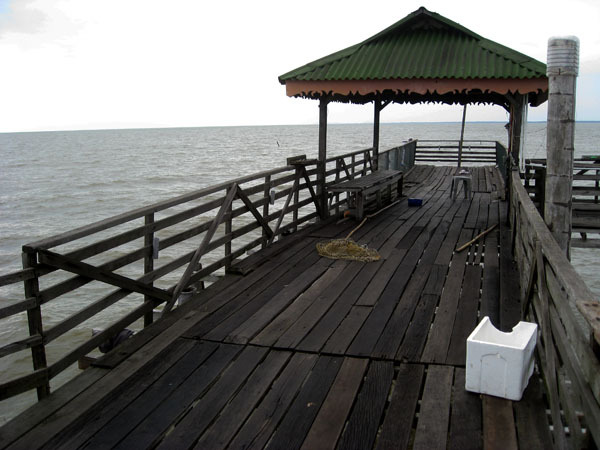 It's pretty near shore, maybe just a kilometer out, so close enough that if there is a heavy downpour on the mainland, the water will get pretty milky out at the kelong during low tide. 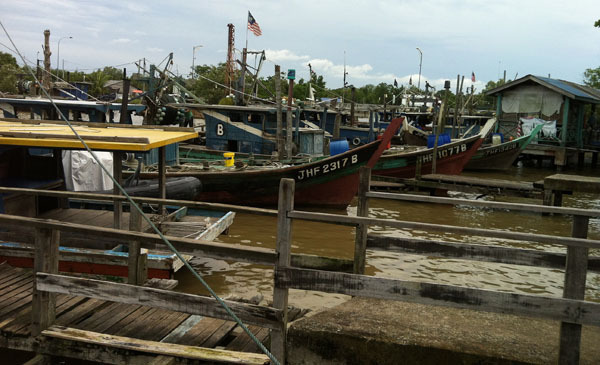 Another problem I saw, was that there were too many small time semi-commercial fisherman around laying seine net around the kelong.